What Is Considered Excessive Hair Shedding? Excess shedding usually occurs 3-to-6 months after the stressor event. If you notice excessive hair shedding, think back several months to recognize what may have triggered the shedding. What Factors Can Contribute to Excessive Shedding? (Telogen Effluvium). Some may experience constant stress from their occupation, like being a fire fighter. For others, constant stress can come from anxiety, depression, or insomnia. 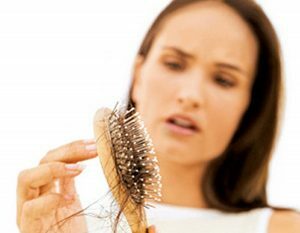 Other contributors to excessive hair shedding include improperly caring for your scalp and hair, medications you may be taking, or internal factors like hormones or thyroid function. Excessive hair shedding itself can be very stressful and, if not treated, can create a perpetual cycle of hair loss. What Can Help Excessive Hair Shedding? Our team of Hair and Scalp Specialists can PREVENT and/or CORRECT excessive hair loss and end the cycle of stress-related hair shedding. We will customize a scalp treatment protocol to meet your individual hair and scalp needs while bringing your hair shedding into a normal, healthy range. Our protocol uses active ingredients like Serenoa Repens to target and inhibit your body’s metabolic processes causing excessive hair shedding. Are you ready to bring your hair shedding into a healthy range? Discover the Health of Your Hair and Scalp.